Service is one of the main pillars of LEAD programs. 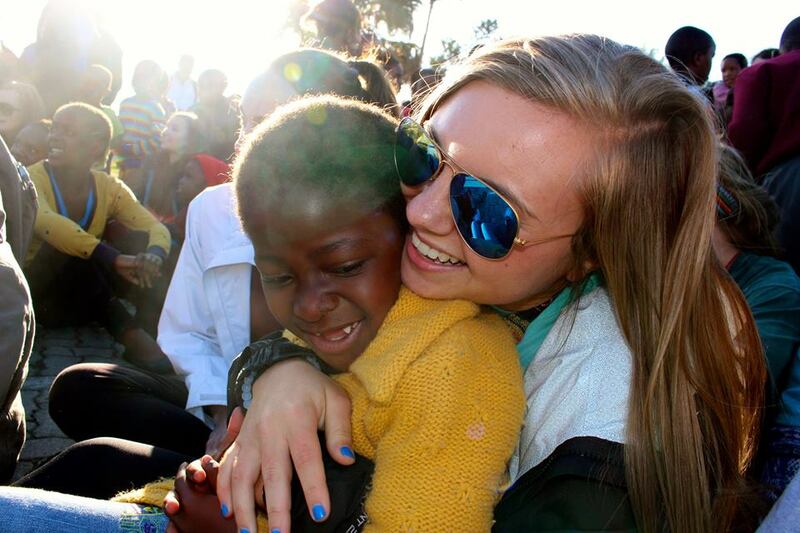 We are so glad to hear that Darby Enright, a senior at the University of South Carolina, has embraced the power of service in Cape Town. 1. It teaches an individual that there is a cause greater than themselves. We tend to focus on bettering ourselves, but in doing so, are we making a lasting difference in this world by focusing on the individual instead of the bigger picture? 2. True joy is acquired through contributing to the happiness and wellbeing of others. Buying the brand new iPhone and new Macbook seems to be what we believe will make us happy, but in taking part in service the question is posed: Who really has it better? The people who have everything or the people who have nothing? I have come to believe the latter. Our first week in Cape Town we visited an Amy Biehl Foundation’s afterschool program and I was blessed to meet a sweet and joyous little girl. This little girl and I could not verbally communicate, but her bright smile and warm hug will forever be ingrained in my memory. I could not wipe a smile off of my face for the rest of the day because this little angel planted a seed of joy within my soul. 3. Spending just one hour with someone less fortunate can impact their entire life. We spend a majority of our time texting our friends, Instagramming pictures, and participating in conversations are in no way meaningful. Instead of doing those things that bring about no real fulfillment, why don’t we spend just one hour with someone less fortunate? Just a warm smile, a hour spent at a program for at-risk children, or even an hour spent serving at a local food bank has the ability to impact others for life. We don’t realize the opportunities that are in front of us every single day that could potentially change the lives of others.